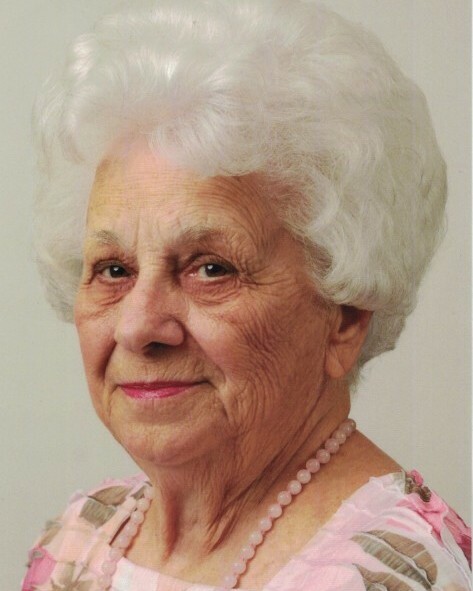 Evelyn Saul Perdue, 85, of Salem an angel on earth joined the angels in heaven on Sunday, March 24, 2019. A native of Salem she was the wife of the late Emory Ferrell Perdue and the daughter of Harvey E. Saul and Clara Saul both deceased. She was a lifetime member of Salem Church of Christ. Evelyn enjoyed doing for others. She is survived by her daughter, Gina Perdue Light and husband Larry; her grandson, Brandon Light; two great grandsons, Christian and Tyler Polumbo; her sister in law, Sheila Saul; daughter in law, Sheila Perdue and she was a devoted aunt to many nieces and nephews. In addition to her husband and parents she was preceded in death by her son, Kevin Perdue; her daughter, Sharon Perdue Wilson; her grandson, “C.D.” Polumbo; four sisters, Rachel Akers, Ruth Thomas, Mary Shank, and Betty Bolanos; and her brother, Harvey James Saul. The funeral service will be held at Lotz Funeral Home Chapel in Salem, 1330 East Main Street, on Thursday, March 28, 2019 at 1:00 pm by ministers Eric Evans and David Workman. The family will receive friends one hour prior to the funeral service at Lotz Funeral Home in Salem. In lieu of flowers memorials may be made to Salem Church of Christ Mission Fund, 401 West Main Street, Salem, VA 24153.